We all know that Goldeneye 007 for then N64 has a incredibly fun multiplayer mode. But sadly many of the levels, characters and cheats are locked and you need to unlock these by playing the solo mode. I just got an Everdrive for my N64 to play multiplayer with my friends and I don’t want to play all the solo levels again just to unlock all stuff for the multiplayer mode. There are some ways to go around this, most emulators and the Everdrive have support for the Gameshark, so you can add codes to unlock most stuff. You can also download save files and add these to have everything unlocked. Step 2. Choose Tools > Preferences and look for “Quick Convert ROM” and click the “Choose rom” and find your GoldenEye rom file on your computer. Step 3. 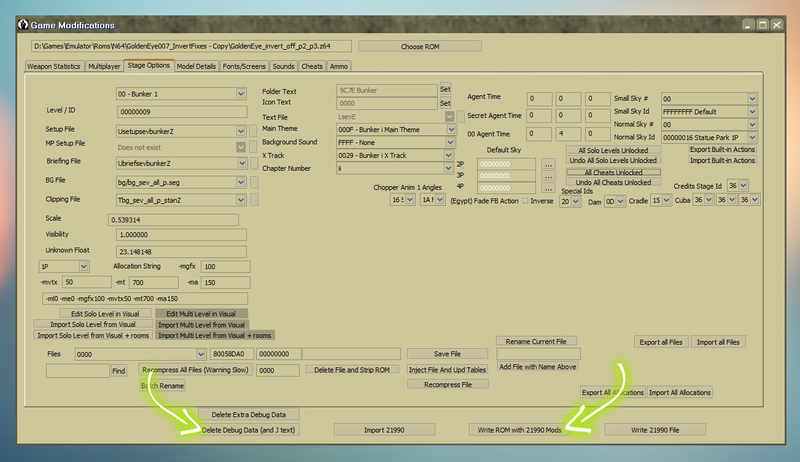 Choose Tools > Game Configuration. This will bring up a big window with a lot of tabs and options. Step 5. Can also be a good idea too unlock all solo levels and cheat modes. Select the “Stage Options” TAB and press the “All Solo Levels Unlocked” and “All Cheats Unlocked” buttons. Thats it, just one more step! Step 6. Finally press the “Delete Debug Data” and then “Write Rom” that are located at the bottom of the window. Then you can name the rom file and save it to your computer. I would recommend using an emulator to try this out and see if all things are unlocked. Done! 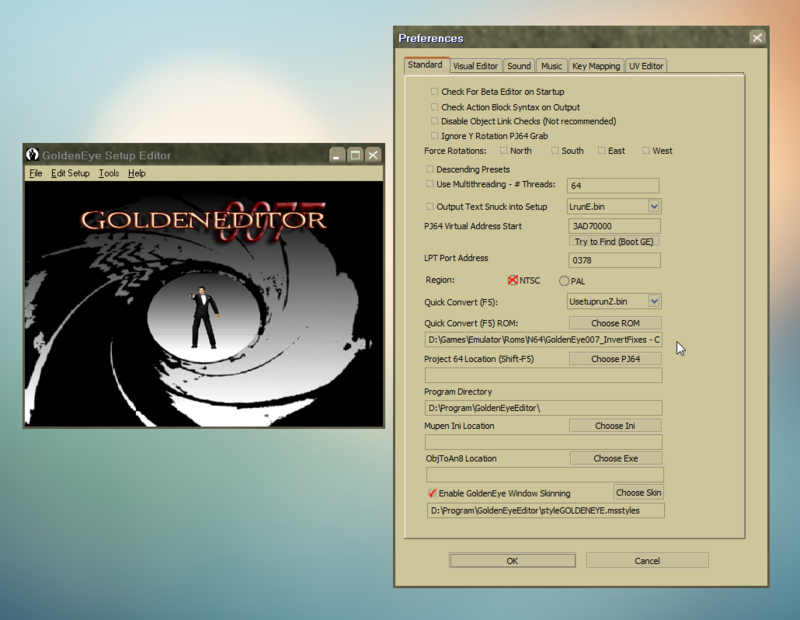 This entry was tagged Emulator, GoldenEye, guide, n64, retrogaming. Bookmark the permalink.